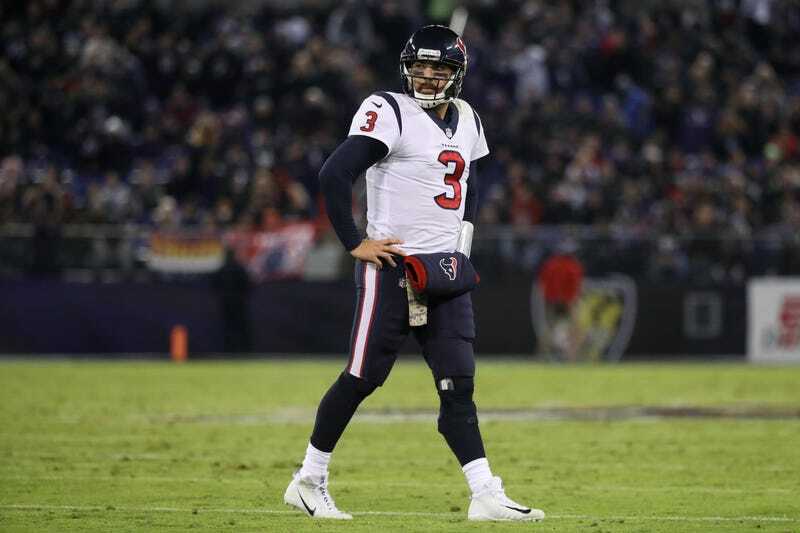 Tom Savage, you just quarterbacked the Texans to their seventh loss and turned the ball over three more times, including your weekly strip-sack. What do you have to say about it? The Ravens are somehow 6-5 despite being completely unwatchable, and in a putrid AFC that record currently has them in a wild card spot. The NFL has never felt less vital.